What is a non-invasive antenatal test? There are two main types of non invasive prenatal testing available in the UK– the NIFTY test and the Harmony test. The aim of these tests is to establish whether the unborn baby is affected with a chromosomal abnormality such as Down’s syndrome. A simple blood test is taken from the mother to enable cell-free fetal DNA circulating in the maternal blood to be analysed. Unlike tests such as amniocentesis or Chorionic Villus Sampling (CVS), because these tests are non-invasive, they pose no risk to the fetus or the mother. What do the tests look for? The tests are aimed at detecting the most common syndromes; Down’s syndrome (trisomy 21), Edwards syndrome (trisomy 18) and Patau’s syndrome (trisomy 13). Extensive clinical trials have been conducted for these three most common syndromes but the tests can also give information about numerous other chromosomal abnormalities. In Down’s syndrome and other trisomies, there are three rather than two of a particular chromosome. These trisomies can be detected by analysing the DNA from the fetus that is found in the mother’s blood stream (called cell-free fetal DNA). Although only about 10-15% of the cell-free DNA circulating in maternal blood is from the fetus, it can be detected and measured from a simple blood sample taken from the mother. How accurate is non-invasive antenatal (prenatal) testing? 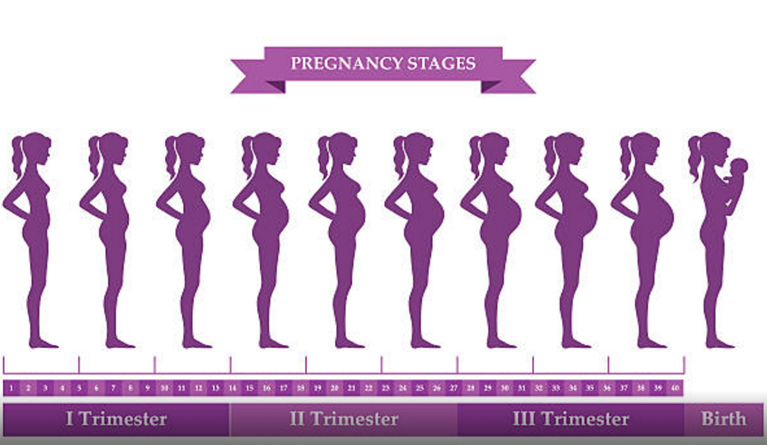 Non invasive antenatal (prenatal) testing is considered a very accurate screening test. Clinics in the UK offering the tests claim they are highly accurate at detecting risk for chromosomal abnormalities, and studies have backed this up. If the test shows that there is a low risk that the fetus has Down’s syndrome, it is very unlikely (<1:10,000 risk) that the fetus will be abnormal. The performance rates for the Harmony test identifies more than 99%, but not all, of the fetuses with Down’s syndrome, 98% with Edward’s syndrome and 80% with Patau’s syndrome. Accuracy for the NIFTY test is reported to be greater than 99 per cent for all three syndromes. What if I get a high risk result? If the test shows that there is a high risk that the fetus has an abnormality, it does not mean that the fetus definitely has one of these disorders. Further testing is usually required as the only way to know for sure whether or not the fetus has a chromosomal abnormality is by having an invasive prenatal diagnosis test such as CVS at 11-15 weeks or amniocentesis at 16 weeks or later. However, these tests involve the introduction of a needle into the uterus to take a sample of the placenta (CVS) or amniotic fluid (amniocentesis) and this carries a risk of miscarriage of about 1%. Is there anyone who can’t have the NIFTY or Harmony Test? The NIFTY or Harmony Test can be performed in most pregnancies of at least 10 weeks gestational age and are appropriate also for pregnancies with twins. However, the test is not currently available in egg donor pregnancies where the egg donor is unrelated to the recipient or for the detection of partial trisomies. The downside of NIPT, apart from cost (see below), is that you’ll have to wait for about two or three weeks to get your results. The costs vary and range from £250 to £750, depending on what’s offered. Some tests include a scan, others will charge extra for this.